Three days ago, UFC President Dana White promised either Lyoto Machida (Pictured) or Dan Henderson would get next dibs at the light heavyweight title. Now that “The Dragon” has posted a split decision victory over Henderson at UFC 157, White intends to keep his word – despite the fact he wasn’t sitting on the edge of his seat during Saturday’s co-main event. “He just beat the number one contender, which would make him the number one contender,” White stated at the post-fight press conference. “Dan Henderson is one of the toughest guys in the sport. You don’t knock Dan Henderson out. 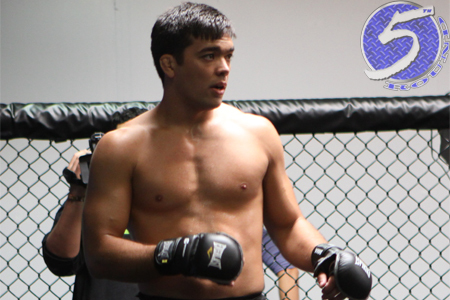 Lyoto took some big shots from Dan. Dan took some big shots from Lyoto. White has teeter-tottered on this subject a few times over the past month, so don’t be surprised if he decides to abruptly change course once again. Particularly if reigning 205-pound champ Jon Jones retains his title against Chael Sonnen at UFC 159, because Jones has already choked Machida unconscious. So, if Alexander Gustafsson unleashes a devastating victory over Gegard Mousasi on April 6th, the youngster might once again leapfrog into a championship affair. It wouldn’t be the first time Machida would lose his place in line. The former champ was dubbed the division’s top contender in August after putting Ryan Bader to sleep, but has dropped down the pecking order after declining a last-minute scrap against Jones at UFC 152.